Birchen Grove, London, NW9 8RY welshharpcentre@thames21.org.uk. The Welsh Harp Environmental Education Centre is a charming wildlife haven in Brent northwest London. It has 5.5 hectares of woodland, two ponds, a meadow and stream, indoor educational and meeting spaces and a car park. To find out more call us on 07734 871 728 or email welshharpcentre@thames21.org.uk. 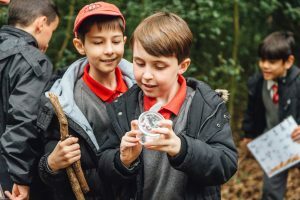 Our programme provides inspirational, year round, learning outside the classroom experiences for Early Years Foundation Stage – Key Stage 2 ages. Children can discover nature across the seasons, develop new skills, and build confidence through discovery of the natural world. Download our brochure and choose from a range of fun and engaging sessions. If you don’t see the topic you’re interested in then please let us know as we are always happy to try and facilitate new sessions. To help plan your visit and make the most of your time at the centre, we ask group leaders to review and understand our important booking information which details directions, safety instructions, and responsibilities and expectations for your booking. To book, email welshharpcentre@thames21.org.uk or call 07734 871728. The varied habitats at the Centre are home to an exciting array of wildlife such as birds of prey, wildflowers, and many interesting butterflies. We are delighted that a group of local volunteers have joined us and are helping to protect and enhance this wonderful site. If you fancy taking part in our monthly Friends group we would love to see you there. You don’t have to attend every month, and we provide all the equipment, boots, tea and biscuits you’ll need to carry out the tasks. We also have weekly opportunities for gardening tasks on Tuesday afternoons. To find out more email welshharpcentre@thames21.org.uk or call 07734 871 728. 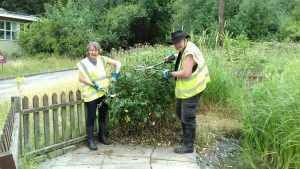 Also see our events calendar for our next Friends event or the Jobs & Volunteer page to apply for the Tuesday gardening group. If you’re looking for meeting rooms or outdoor event space please get in touch. We can also facilitate team building activities rounding your day off by the campfire. 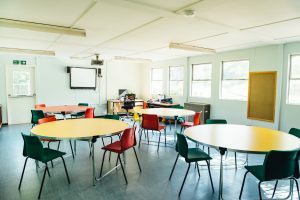 Indoor facilities include two meeting rooms, with capacity for 40 people seated in conference style or 25 seated at tables, with projector, WiFi and kitchenette. 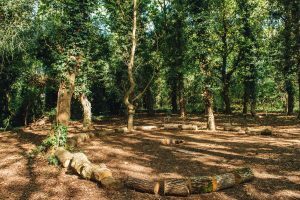 Outdoor facilities include parking, and access to peaceful woodland which is perfect for events, parties or team away days. To request prices and discuss a booking please contact us on welshharpcentre@thames21.org.uk or call 07734 871 728.